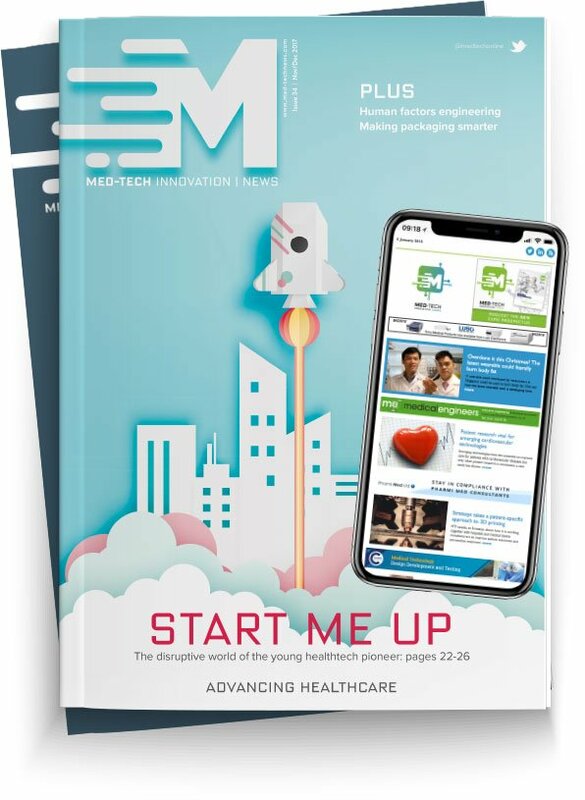 Med-Tech Innovation News sits down with Jonathon Burton, web and digital services manager, and Sara Wise, GDE SHaRON, senior project manager at Berkshire Healthcare NHS Foundation Trust to talk about the Trust’s e-health project for helping people manage with mental health issues. In the interview, Burton and Wise talk about how the Trust managed to build a social networking solution for people with mental health disorders. A first-of-its-kind solution funded by the NHS, the networking project has been an invaluable resource for patients with mental health problems at the Trust and highlights why services for mental health need to be available 24/7. Q: Could you tell me a bit about the system that’s been developed for the Trust? A: In 2009, mental health services for eating disorders weren’t as available as they are today and there was less in the way of support from professionals or peers. A clinician working with their patients was frustrated that eating disorders services tended to finish at 5pm and nothing was available over the weekend. They asked me, as the web and digital services manager, what we could do to rectify this. We looked at various social media engines and deemed that whilst we liked the model, we didn’t like the lack of control associated with them. So, we designed our own Support Hope and Recovery Online Network (SHaRON), a social networking e-health system initially created for people who have eating disorders. Carelink provided the infrastructure and SHaRON became the first of its kind, providing an always available 24/7 solution, connecting individuals to each other and to their care providers. The online therapeutic and social networking platform, similar to Facebook, combines very high levels of security and is easy to use for individuals with eating disorders and their clinicians. Our initial aim was to provide a safe, secure and comfortable environment for service users, relatives and carers alike to talk and support each other. Over the past seven years, we’ve found it to be highly successful and we now have hundreds of users on the system. In recent surveys we carried out, over 80% of SHaRON users agree that it has been helpful in their recovery. We have now expanded SHaRON out to other services at Berkshire Healthcare NHS Foundation Trust, to support individuals with early intervention psychosis and relatives and carers of children in our Child and Adolescent Mental Health Service (CAMHS). Q: Do you think there are current barriers to mental health care and what can digital technology do to help? A: Mental health issues are 24/7, 365 days a year, but unless you are acutely ill in hospital, traditionally mental health services are usually 9 to 5 with crisis services providing out of hours care. An e-health system like SHaRON is invaluable in providing support to its users who might struggle in the evenings, during the night and at weekends, and relieves the pressure on crisis mental healthcare services. Digital technology also helps avoid appointment cancellations and helps patients who live more remotely in rural communities or who are reliant on public transport to stay connected. It alleviates the pressure on mental health staffing; they can now be online and responsive to clients whilst completing other administrative work. We’ve also empowered peer moderators, recovered service users, who are trained and supervised to work for us at no extra cost. This also has huge benefits to their on-going recovery. Q: How important is networking for people with mental health issues? Q: Do you find people are more willing to discuss any problems they have through an online network, as opposed to face-to-face care? A: We’ve been really surprised at the diversity of the subjects people will talk about online; we could put this down to the fact that the person is anonymous and the platform is non-judgemental – we can’t see their age, ethnicity, social class, physical appearance, sexuality, etc. We all make judgements even when we try not to and an online network eliminates any judgements straight away. It has a huge impact on people to have a safe space, like SHaRON, where they can share intimate and deeply personal matters that they can’t necessarily to talk to anyone else about. And they are guaranteed an empathetic and compassionate response. SHaRON is not a stand-alone treatment; it is part of a wider care pathway that we provide to our patients that includes one to one and group therapy with our clinical multi-disciplinary teams. Q: How secure is the infrastructure and what systems are in place to ensure no data is shared without consent? A: SHaRON is completely anonymous, so within the database all users go by nicknames. Even though outside the network, professionals within the Trust are entrusted with users’ identities. The infrastructure is as secure as we can possibly make it. The Carelink infrastructure is penetration tested at least twice a year by third party penetration testers and we ourselves test their infrastructure through programmes with NHS England. We also use our own resources to penetration test the actual SHaRON application. Our SHaRON developers are certified penetration testers following their completion of hacking and penetration training courses. We are GDPR compliant and also have an ISO BSI Information Management of Security certification which requires us to be audited by the BSI and to develop infrastructure in a secure and structured way. Q: What’s the overall digital infrastructure like for the Trust? A: We are a global digital exemplar (GDE), one of only seven mental health trusts in the UK, so we take digital very seriously. We have dedicated digital transformation teams who are devoted to looking at digital solutions in healthcare across the world to decide whether to introduce them into the Trust to future-proof for a digital age. In fact, we are in the top percentile of the NHS England’s digital maturity index. From the executive down, we believe in a digital enabled future and know it’s the way forward in delivering the highest standard and most efficient services. Q: What was it like building the network and getting it funded by the NHS? A: It took three business cases to secure funding, but it was relatively straight forward. Even back in 2009, the Trust was forward thinking and I never had a ‘no’; I just needed to evidence it better in order for it to be accepted. Eventually, I was given the funding and support to design the new e-health system. We needed a partner to build this mission critical system, so we chose to work with Carelink. Carelink was already an experienced and established network hosting provider within the healthcare sector. The company supported the NHS intranet with its own N3 connection (now replaced by HSCN) and could provide the best access to data centre infrastructure via a fully managed service. Today, the continued support that Carelink offers is second to none. Q: What do you think the NHS needs to have more of in terms of digital adoption? A: Some NHS organisations are so busy doing their day jobs, they just don’t have the time or capacity to think about digital adoption. You might not need to build your own system, but it is having the breathing space to innovate and be able to find the right digital solution. People often think that it will cost thousands to move towards digital, but a lot of digital solutions are low cost yet have the potential to transform trusts, like elearning platforms, which are open source and don’t cost anything. Unless the NHS gives people the ability to take time out from delivering and put time into thinking then innovation will stagnate and it won’t support digital adoption. SHaRON started with a clinician who noticed limitations to the service he was providing. Clinicians need someone within the NHS that they can approach that is willing to take a risk and give a new idea a go – that is how you will transform services. The NHS needs transformation and digital is one of those ways that can really make it happen quickly.